Wear a delicate symbol of nature with these opulent stud earrings, crafted in 9ct Yellow Gold and featuring a colourful mother-of-pearl effect behind the outline for a more fashion-forward style statement. 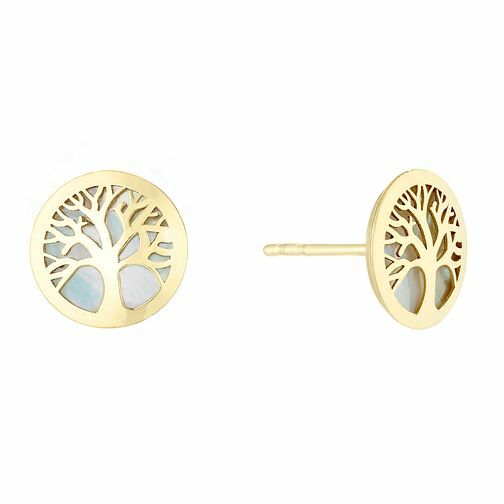 9ct Yellow Gold Tree of Life Designs Stud Earrings is rated 4.3 out of 5 by 3. Rated 4 out of 5 by Anonymous from My Wife was delighted with the present The earrings were exactly as my wife expected. !!!! !.